Not all Bollywood films are about song-dance sequences or have item numbers to increase the box office collection. There are some Bollywood movies that have women in powerful roles with an amazing storyline. We see many movies today that portray every shade of women – ambitious, adventurous, strong, fearless, funny, serious, emotional and much more. Here is a list of some of the best women-centric movies that broke new grounds in Bollywood. The movie, directed by Shelly Chopra Dhar, stars Anil Kapoor, Juhi Chawla, Sonam Kapoor, Rajkummar Rao, Akshay Oberoi, Regina Cassandra, Brijendra Kala and Madhumalti Kapoor. The film is about a young Punjabi girl (played by Sonam Kapoor) named Sweety who is a lesbian and is in love with another woman. She fears that the truth might not go well with her family and society. Unaware of the truth, her family wants her to get married to a young writer who is in love with her. The movie, directed by Meghna Gulzar, is based on a true story of a girl who is sent to Pakistan to source information, amid the rising tension between India and Pakistan. The Kashmiri girl marries a Pakistani army officer to spy on Pakistan during the Indo-Pakistan War of 1971. Alia Bhatt won Best Actress Award for Raazi at the 64th Filmfare Awards this year. Based on a true story, the biographical thriller features Sonam Kapoor in the title character, who is a flight attendant. On a regular day to work a Libya-sponsored terrorist group hijacks the plane in Karachi. 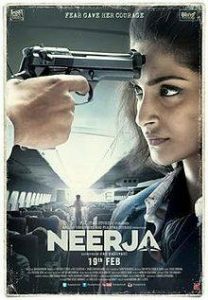 Neerja ruins the hijackers plan and manages to save 359 of the 379 passengers and crew on board. Sonam Kapoor won a national award for this film. Neerja Bhanot’s biopic was acclaimed by the critics and the audience alike. Sonam Kapoor did justice to the character. The movie tells the beautiful story of a young girl Rani played by Kangana Ranaut. It’s heartbreaking when Vijay played by Rajkumar Rao, just a day before the wedding breaks the news to Rani that he is no more interested in marrying her. The simple, small-town girl is shattered but soon she decides to stand up for herself and to go on a honeymoon all alone. During her travel, she meets new friends, discovers the world and life and comes back as a changed person, ready to take control of her life. Kahaani is a movie which lives up to its name more than you could ask for. The entire script of the movie was filled with unexpected twists and turns that you definitely won’t see coming. 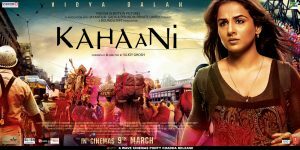 Kahaani has it all – a brilliant script and a screenplay that runs along at a pace which will keep you glued to the screen. The movie features Vidya Balan in the lead role. 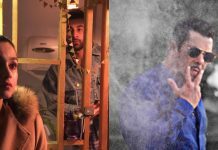 The actors of the movie have done a phenomenal job and director Sujoy Ghosh has paid attention to every single detail ensuring nothing is left in a hush. Next articleHindi Medium 2 to be retitled?